It’s BBQ season. Below we have attached our Rib Order Form for this years BBQ. Our Easter BBQ is Saturday, April 20th at 11AM. 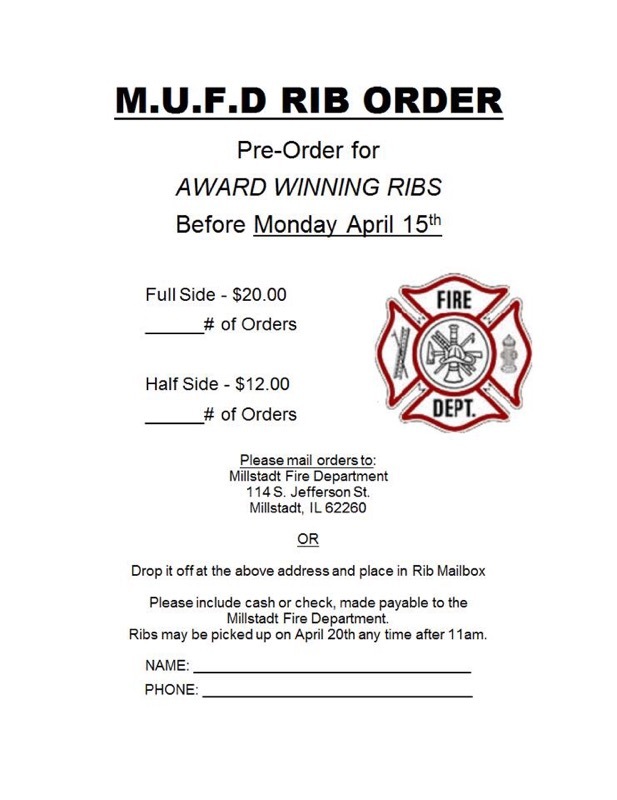 Please return your Rib Orders by Monday, April 15th. Forms can be picked up and returned to the Black Rib Order Box outside the Fire House.